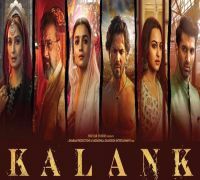 Sanjay Dutt who has 6 films in the pipeline has made a powerful impact with the first release of 2019 with Kalank. The superstar who is essaying the role of paternal figured as Balraj Choudhary has been receiving rave reviews for a powerful performance leaving the audience impressed. Sanjay Dutt has set the ball rolling with the first release of the year and has 2 more releases awaiting this year. The actor is also busy shooting for his forthcoming projects in which the audience will witness various shades of Sanjay Dutt. Over the years Sanjay Dutt has treated audiences with characters which have gone ahead to resonate and struck a chord with the audience. Known to have a power packed screen presence, the actor hosts a number of strong characters in his diverse repertoire as an actor. Ever since the first character poster had been released fans across the nation were excited to watch Sanjay Dutt on the big screen, now upon the release the fans couldn’t keep calm and gave a thumb’s up to his performance. The audience and critics alike have had comments like powerful, impactful and strong performance pouring in for the actor. With multiple films lined up, Sanjay Dutt is one of the busiest actors in the business. Big budgeted films like Shamshera, Kalank, Panipat, Bhuj: The Pride of India, Prasthanam, Sadak 2 amongst others make a list of his upcoming films.